Adagio has done it again, people. They’ve kind of broken the mold here, because their new fandom collection of teas is unlike anything else I’ve seen in the tea world before. 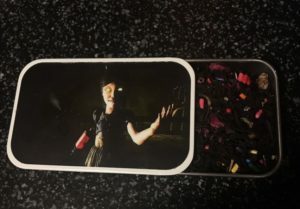 The Adagio Teas: Fandom Signature Blends is incredibly cool and creative. 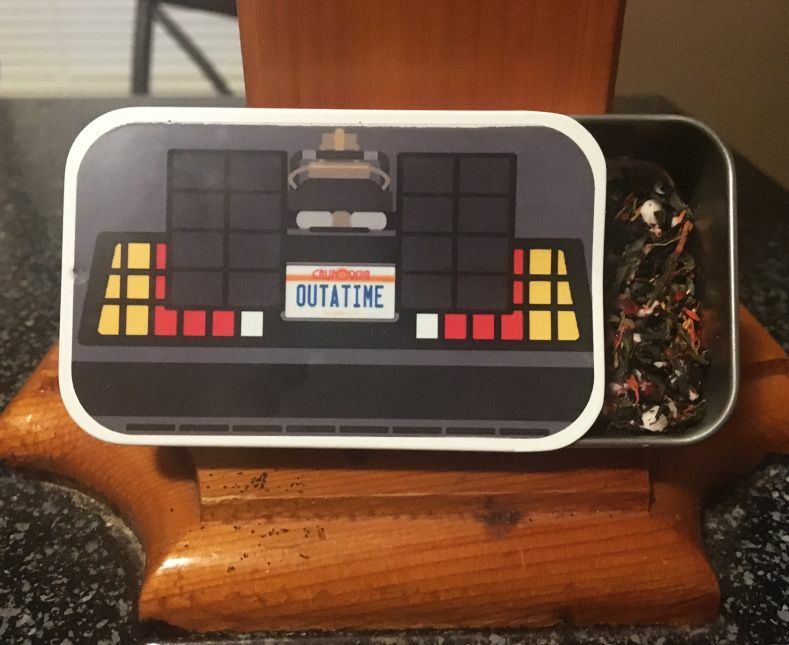 It features unique tea blends created by superfans based on different themes from TV, movies, anime, video games, etc. You’re sure to find one of your favorite nerdy topics here – Star Wars, Star Trek, Suicide Squad, Sherlock, and lots more. I tried four different samples, and not a single one disappointed me. This Harry Potter fanatic just HAD to try a HP-themed tea, and it was every bit as delicious as I had hoped. 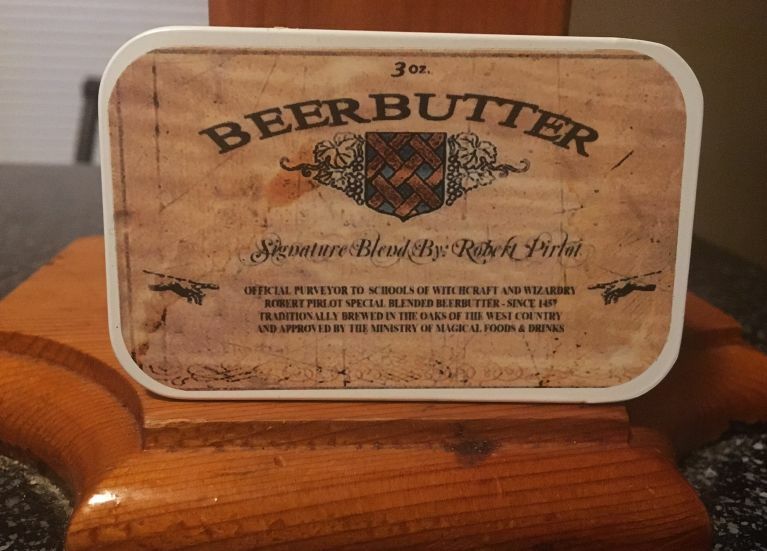 The BeerButter Tea blend from Robert Pirlot was fantastic and probably had the best aroma of the four teas I tried. It’s a black tea with natural caramel flavor, natural creme flavor, and natural vanilla flavor. The caramel and vanilla flavors were very strong and it came together for one of the best black loose leaf teas I’ve ever had. A percentage of purchases of this tea also goes to charity, so it’s a win for everyone. 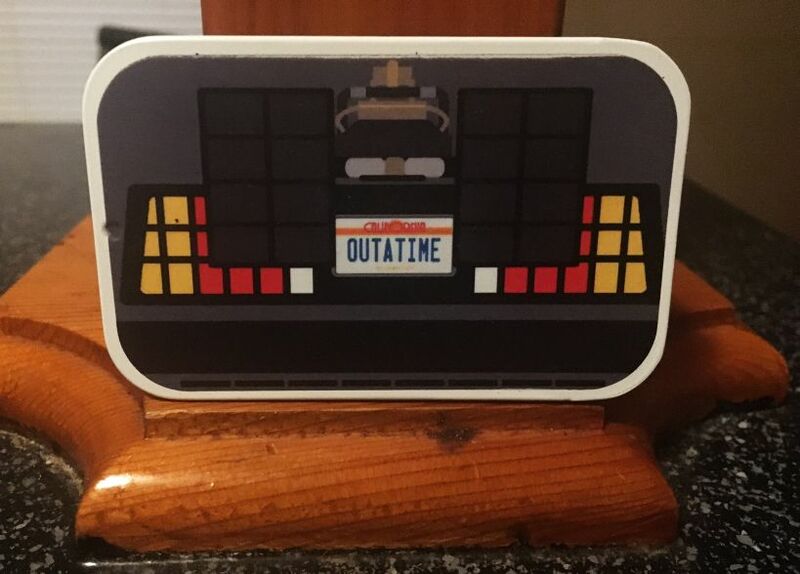 Due to my husband’s Delorean obsession, I had to get this one to try with him. 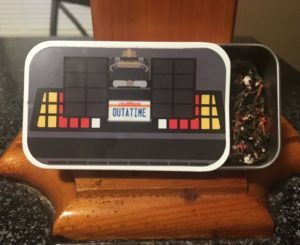 This Delorean Tea blend from Mike Violette is highly flavorful; check out all of the delicious ingredients: black tea, green tea, cocoa nibs, natural chocolate mint flavor, natural creme flavor, orange peels, blue cornflowers, peppermint leaves, natural vanilla flavor, natural bergamot flavor. It blended to form a delicious tea that was accented with candy canes (yum?). The Marty Tea was the other tea I tried from a Back to the Future collection (also from Mike Violette). (I couldn’t resist that adorable packaging.) 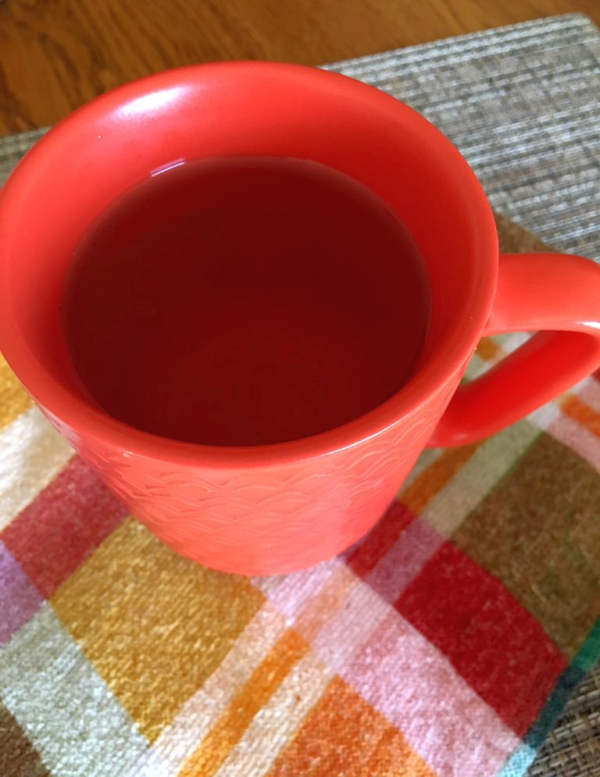 This is a high-caffeine black tea with orange, vanilla, and creme flavors. It’s almost like a hot caffeinated cremesicle in tea-form, and I wasn’t complaining. The tea is accented with sprinkles, which was downright adorable. 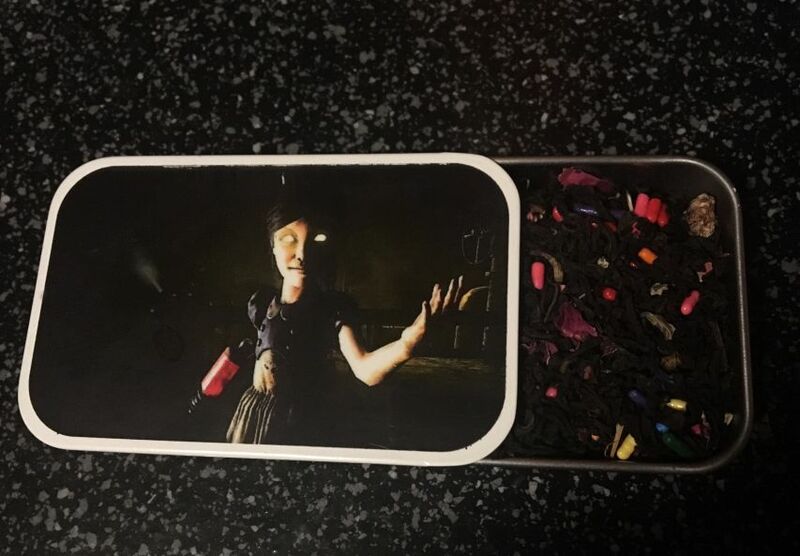 I ordered this tea because my husband is a huge fan of the video game Bioshock, plus I’m a big fan of creepy things, and nothing is much spookier than a Little Sister (just look at her!). The Little Sister Tea from Tara K is a decaf Earl Grey, but it also has strawberry, orange, raspberry, and vanilla flavors. 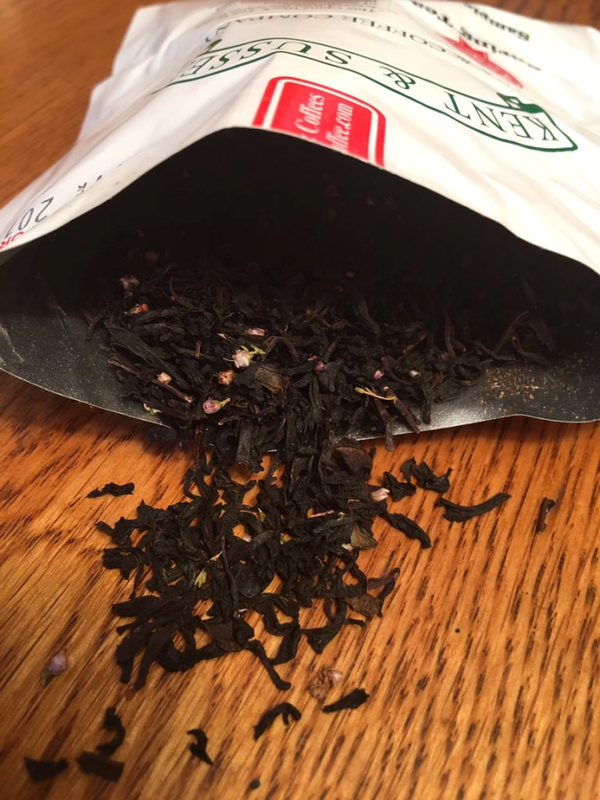 The loose leaf tea is accented with sprinkles and rose petals, and it all comes together to make a fantastic-smelling strong tea. I loved it. I have nothing but wonderful things to say about each of the Fandom Teas I tried or about the collection as a whole. I can’t wait to try another round of fan teas from Adagio! Leo TeaBefore I get to the review of Adagio Tea’s Loose Leaf Leo Tea (say that three times fast), I want to just say, again, that Adagio is first-class. All the way. Everything they do is above and beyond what the average company does. They’re simply flawless and it’s always an honor to review anything they offer because I can rest 100 percent assured that they’ll do right by you. Pictured here is a new obsession of mine… well, actually TWO new obsessions because the wonderful ingenuiTEA brewer is in the pictures (click the link to read my review of this little beauty). 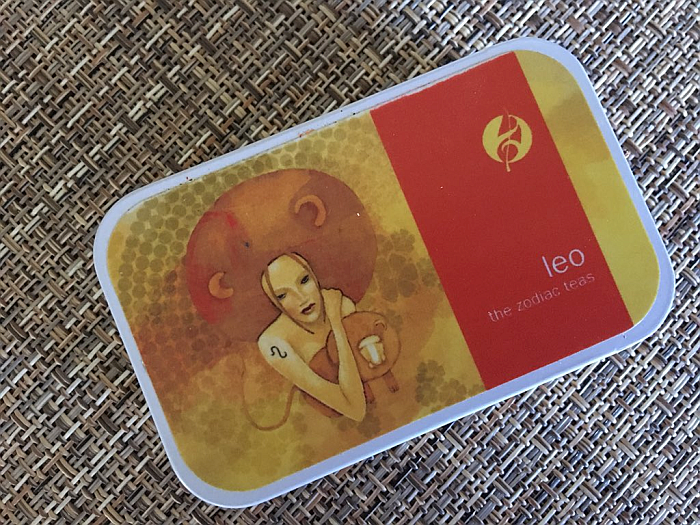 Adagio now has a line of Zodiac Teas and my own personal zodiac sign (Leo) is naturally the first one I tried. 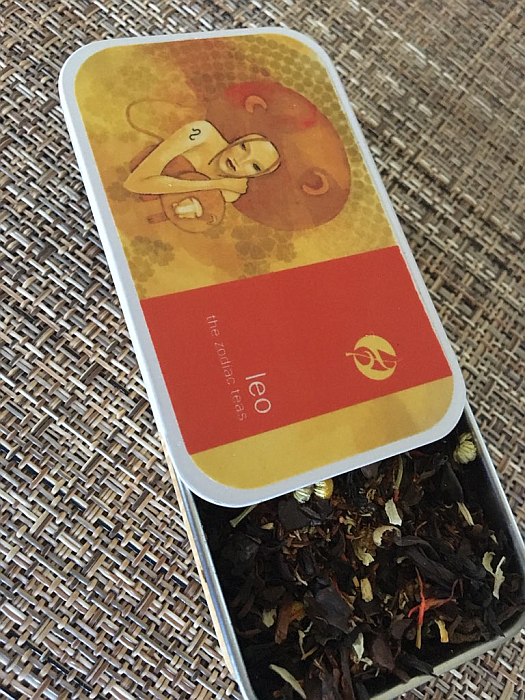 The Leo Tea is almost impossible to describe. It is absolutely Heavenly, let’s go ahead and get that out there. The flavor is phenomenal and, like me, you’ll be at a loss for words. 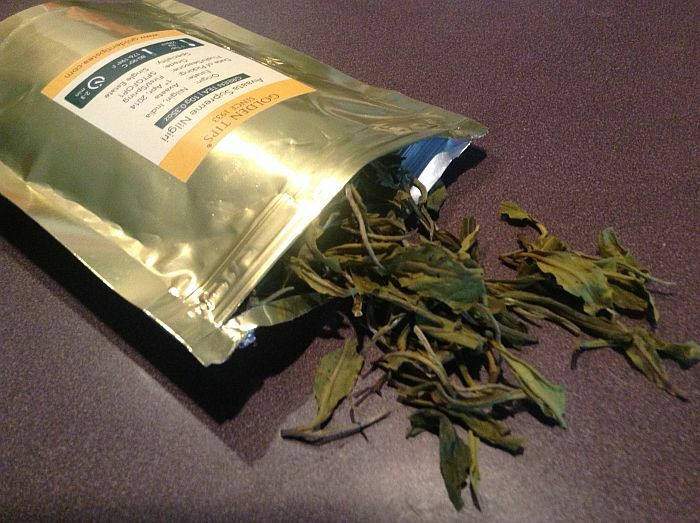 About Leo Tea: Oolong tea mixed with rooibos and orange peels boosts Leo’s self-confidence and sunny disposition. Leos are at the center of every tea party, entertaining the crowd with their creative charms. Chamomile and vanilla smooth this zesty blend, while the red safflower is an eye-popping touch of color that Leos can show off to their friends. Leo TeaThe first flavors you taste are the orange and vanilla and they make beautiful music together. There’s a flavor in the background that, while insanely delicious, you can’t quite “pin down.” I think it must be the roobios combined with red safflower, which is a new flavor to me. Let’s just say I fell more in love with Leo tea with each sip. It’s OUT. OF. THIS. WORLD. Whether you, like me, are a Leo or not, you have to try this amazing tea! The other zodiac signs are, of course, also available and, knowing Adagio like I do, I am certain they’re equally amazing. You can find your own sign and order the corresponding Adagio Zodiac Tea. 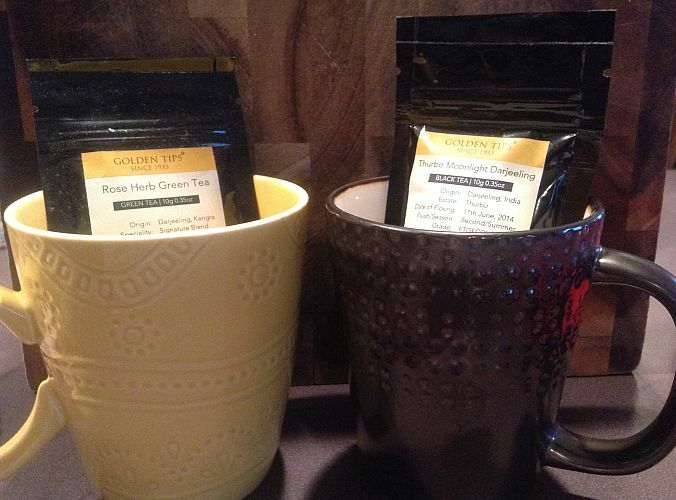 There are also a few samplers available – which would be an ideal way to try several delicious teas at once. The little tins are ridiculously adorable and would make darn cute gifts and perfect stocking stuffers (yes, as a matter of fact, I do think about Christmas all year long). 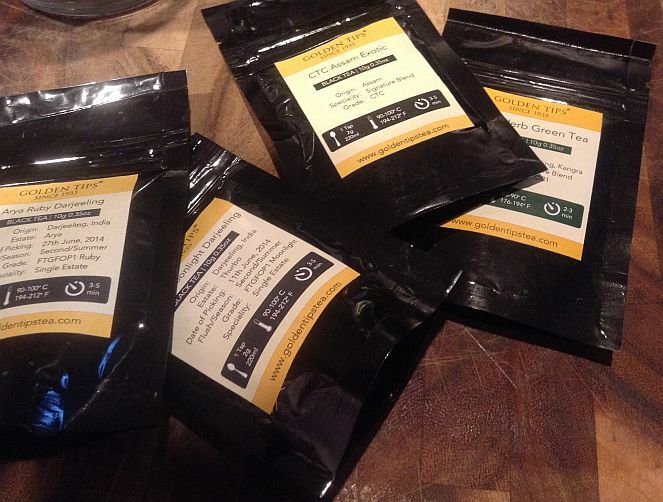 I love many things about working from home as a web publisher and blogger, but none any more than doing tea reviews. Come on, what Crazy Tea Chick wouldn’t love everything about that?! 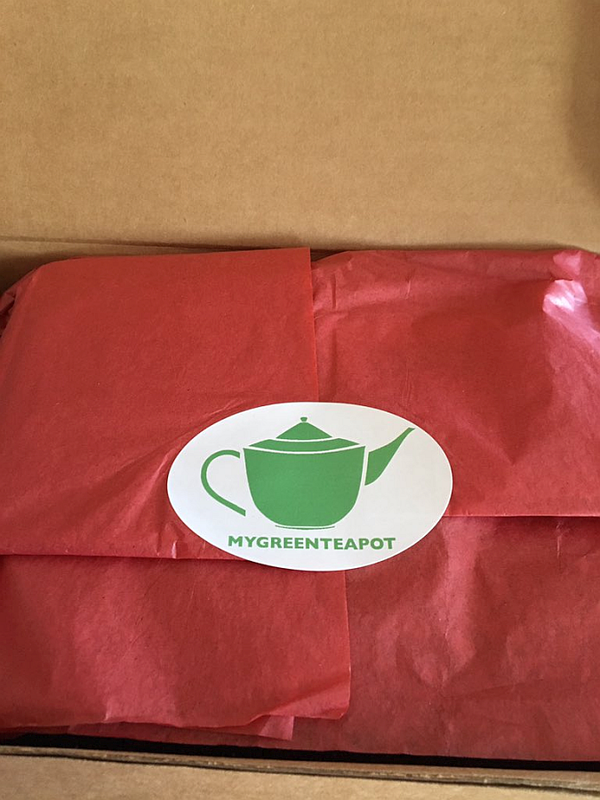 Today’s tea review is for My Green Teapot: a tea company with a beautiful name, beautiful packaging, and beautiful tea. How are you going to top that?! 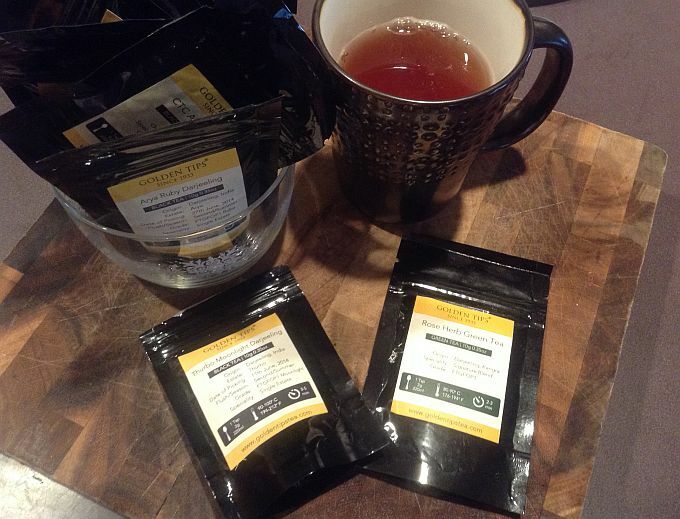 I was sent small samples of two of their teas to review. First up is a beautiful, subtle green tea, Strawberry Green Oolong. 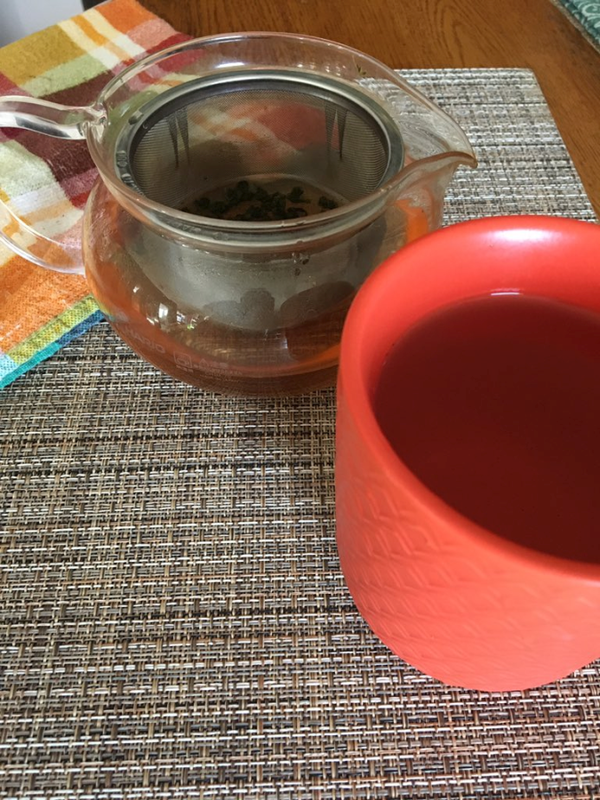 After one taste, my first thoughts were, “Lovely, soft, and very enjoyable.” My Green Teapot’s Strawberry Green Oolong Teas are all natural whole leaf teas from Taiwan infused with strawberry. The fact that this tea has a small amount of caffeine makes it one you can enjoy throughout the day. As with all of my tea reviews, I tried it both hot and iced and, while it was exceptional both ways, I think I prefer it iced because you get more of the strawberry flavor that way. Since strawberry is one of my absolute favorite flavors in the world, the more the better! 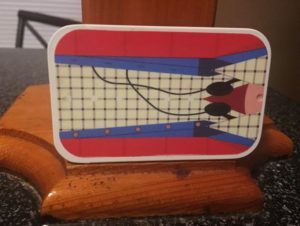 Before I get to the second My Green Teapot tea, I just want to say a little something about the packaging – it is adorable. I love when companies (tea, chocolate, coffee, food…) put a little extra thought into their packaging. It just makes the entire experience sweeter. These adorable little “Chinese Takeout boxes” are as unique as they are cute. I was going to save them for Christmas packaging but couldn’t get the green teapot sticker off cleanly. Oh well, they served their purpose – setting a special mood for a couple of special teas. In addition to the Strawberry, I was sent a little sample of the Orange Green Oolong tea and it, too, was wonderfully subtle and altogether lovely. While I didn’t have any oranges on hand (which is odd – I usually have a whole bowlful! ), it occurs to me that a slice of fresh orange floated in a hot mug or tall glass of this tea would be a beautiful thing. This tea was equally delicious hot and cold – I honestly couldn’t decide which one I preferred. Like the Strawberry Green Oolong, Orange Green Oolong teas are all natural whole leaf teas from Taiwan infused with orange. I hope you’ll check out My Green Teapot and all of their wonderful natural whole leaf teas. I highly recommend the two I’ve reviewed here. Remember the last cup of tea that just left you speechless? That’s exactly the experience I had with Spring Tea from Kent & Sussex Tea & Coffee Company. Needless to say, don’t let the name fool you – this “Spring Tea” is uncommonly delicious year-round and will leave you speechless whether you’re enjoying it in early June or late December. I normally can say whether I prefer a tea iced or hot but this one is absolutely impossible to choose. Just when I think the winner is iced, I try it hot and think, “Well…” It’s simply beautiful either way. As soon as I cut the bag open, I was hit by the beautiful scent of berries and mint. The aroma was Heavenly and let me know, straight away, that this was going to be some exceptional tea. The tea was even better than the aroma advertised. You can taste the raspberries (one of my two favorite berries – tying with the infamous strawberry) and the delicate mint flavor as well. With each sip, you get a new berry flavor and it’s just out of this world wonderful. From the Spring Tea Bag: This China Black Tea is scented with the warm notes of Raspberries – Blackcurrants and Elderberries – blended with Juniper Berries – Nettle and Heather Leaves – Blackberries and Peppermint leaves. A fresh tasting flavored Spring Time Black Tea. Brewing Time: Using boiling water, brew for 3-5 minutes. A lot of people stick with tea bags instead of loose tea because they think it’s difficult, complicated, or time-consuming to brew loose-leaf tea. Nothing could be further from the truth. 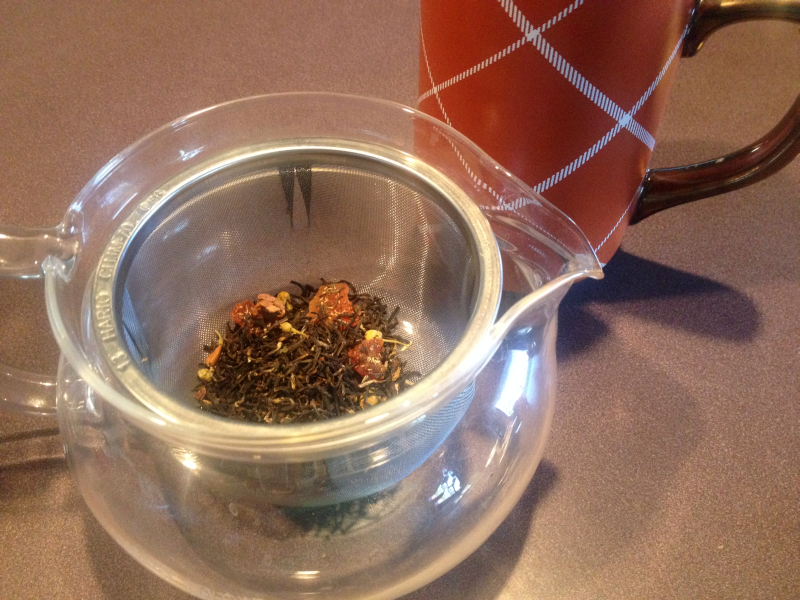 My favorite way to brew loose leaf tea is with my Hario Tea Pot. It’s Simple – while bringing the water to a boil (or a specified temperature for non-black teas), you put some of the loose leaf tea into the basket that fits into the Hario Tea Pot. When the water is ready, pour it over the leaves (and into the pot) and allow it to brew for the specified amount of time (generally just a few minutes). Simple! A lot of loose leaf tea can even be re-brewed. I dare anyone to try that with a bag of tea! The Kent Tea and Trading Company and The Sussex Tea Company were founded in 1982 when the Smith Family returned to England after two generations of Tea Planting in North East India. Their extensive range of award winning teas and coffees are packed at their factory in the village of Pluckley, in the Garden of England. 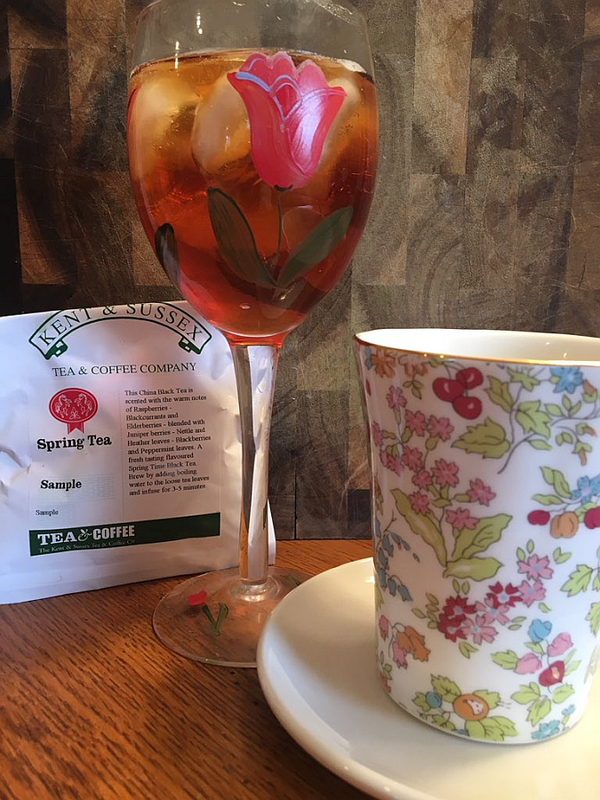 Read more about this beautiful and unspeakably delicious Spring Tea by clicking the link. This is, undoubtedly, one of my favorite teas of all time. Ironically, another tea that has become one of my all time favorites is coming up in a tea review I’ll post tomorrow morning and it is also from Kent & Sussex Tea & Coffee Company. These people know their teas! See Kent & Sussex Teas for more information. As promised in my last Plum Deluxe Tea Review, here’s my caffeinated, wide-eyed, awake-and-then-some review of their bold Oregon Breakfast Black Tea. 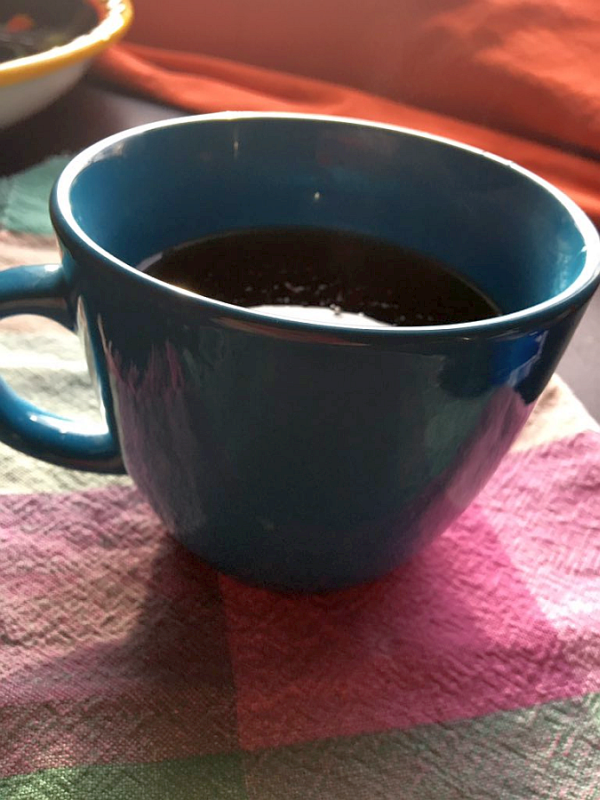 As I’ve said many times on the tea blog, I’m as crazy about coffee as I am tea – I just don’t drink it as often. 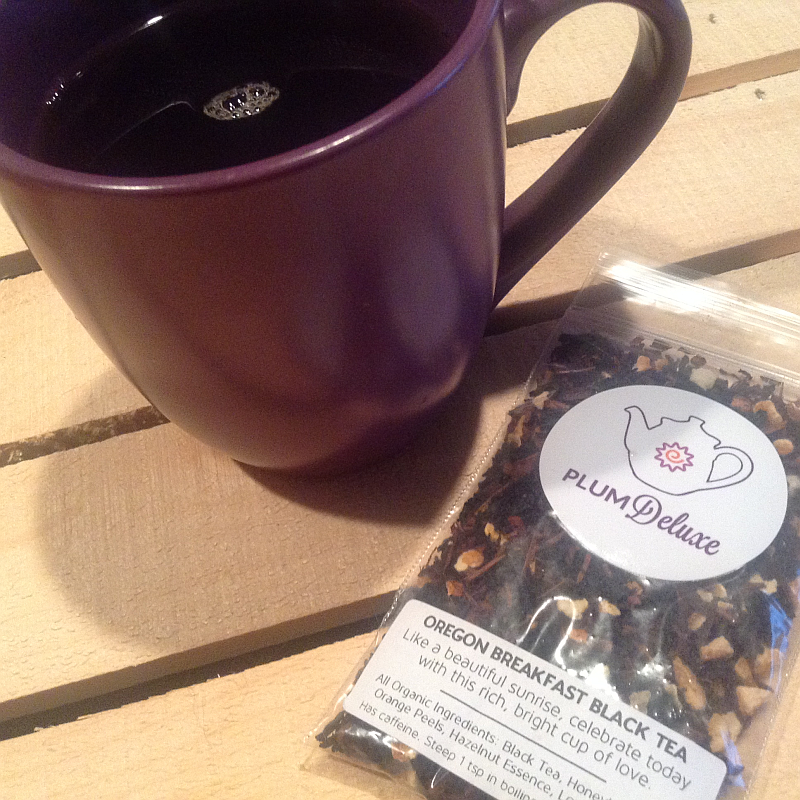 For anyone who cannot drink coffee, Plum Deluxe has a beautiful alternative – Oregon Breakfast Black Tea. This tea is every bit as delicious and effective at Reveille as coffee. In fact, even if you CAN drink coffee, you’d enjoy mixing things up a couple mornings each week with this very unique tea. 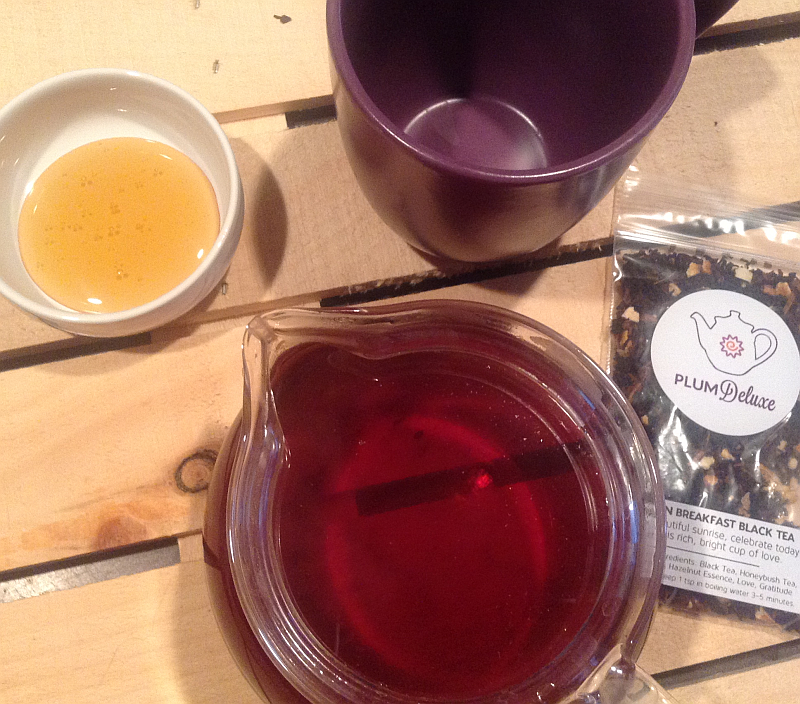 This breakfast tea is how Plum Deluxe folk like to start their day. The earthy base helps center you; the ping of orange helps wake you and get you excited about today’s possibilities. 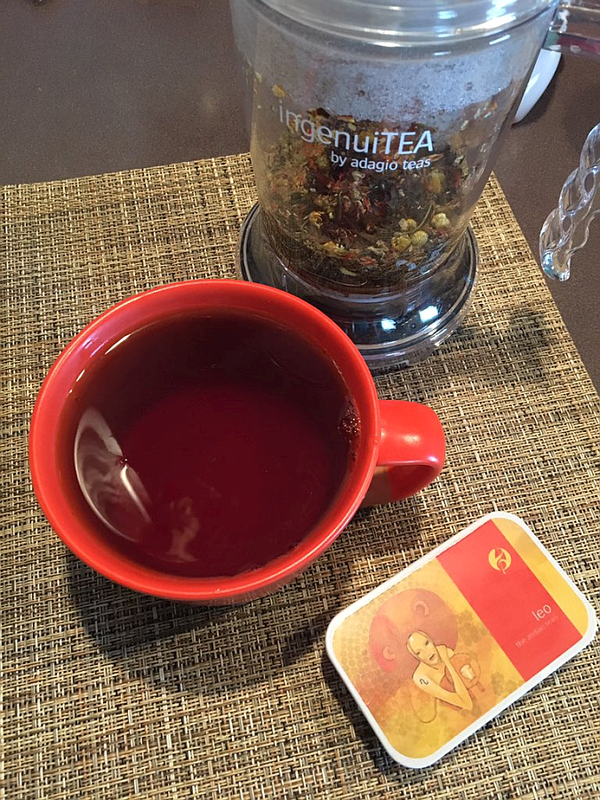 It’s a simple tea & yet it is rich with subtle flavors. What Sets this Black Tea Apart from Other Black Teas? The flavor combination is one that I was not, previously, at all familiar with. I’ve had Hazelnut coffee before and loved it – but I’d have never in a million and one years thought of pairing it with tea. And, yet, the flavor is so fascinating and mind-blowing that I’m now obsessed with it. Truly, it’s downright addictive. In addition to my passion for coffee, I’m sure I’ve also confessed before that I don’t have a sweet tooth… I have sweet teeth. I sweeten everything that comes within my reach if it isn’t already sweetened. Please try not to judge me. I opted for honey to sweeten my mug of hot Oregon Breakfast Black Tea. Phenomenal. Absolutely phenomenal. The unexpected, exciting flavor of hazelnut really makes your taste buds dance. It’s like they’re at the taste bud prom and hazelnut is the DJ. 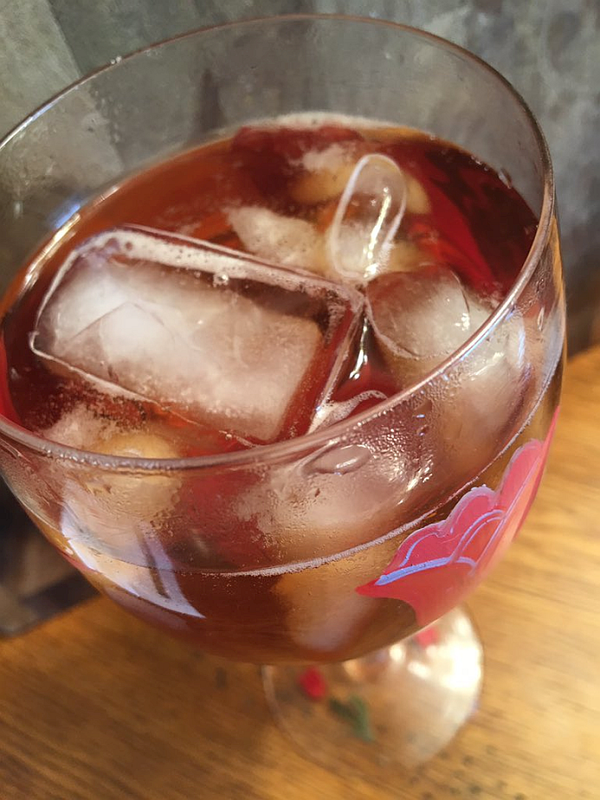 When reviewing teas, I like to try them iced as well as hot, because as far as I’m concerned a tea should be as “year round” as your favorite pair of jeans. Oregon Breakfast Black Tea is just as wonderful on ice as it is off ice. If you can’t tell from my words, I’ll just go ahead and say it – this tea has me flabbergasted. When your world is so completely filled with tea, it takes a lot to catch you off guard – especially with black tea,which is generally a pretty laced up kind of fella. And yet… here I am at a loss for words to tell you just how special and unexpected this tea is. I’m afraid I’m going to have to resort to this: Click over to Plum Deluxe and order some for yourself. As in right now. It’s just $7.00 per oz and it will blow your mind. Try it hot, try it iced – and be sure to have a little honey on hand. It really… *cough cough*… sweetens the deal. 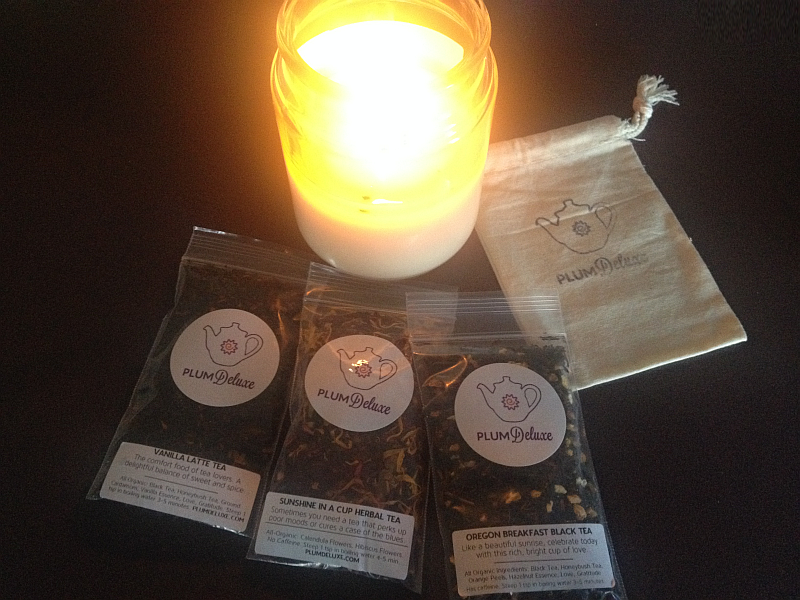 Learn more about Plum Deluxe teas, gift sets, newsletter, and tea club by visiting their website: Plum Deluxe. You can also find them on Pinterest and Facebook. If you’re in love with this time of year even half as much as I am, you’re beside yourself right now. I know the feels – I’m beside myself beside myself. Whether it’s a meal with your family, decorating the tree, or wrapping presents, everything has to be just right. As you’d imagine, a “Crazy Tea Chick” wants everything just right with the tea she serves too. After all, when you’re a “tea lover,” you have an image to maintain. 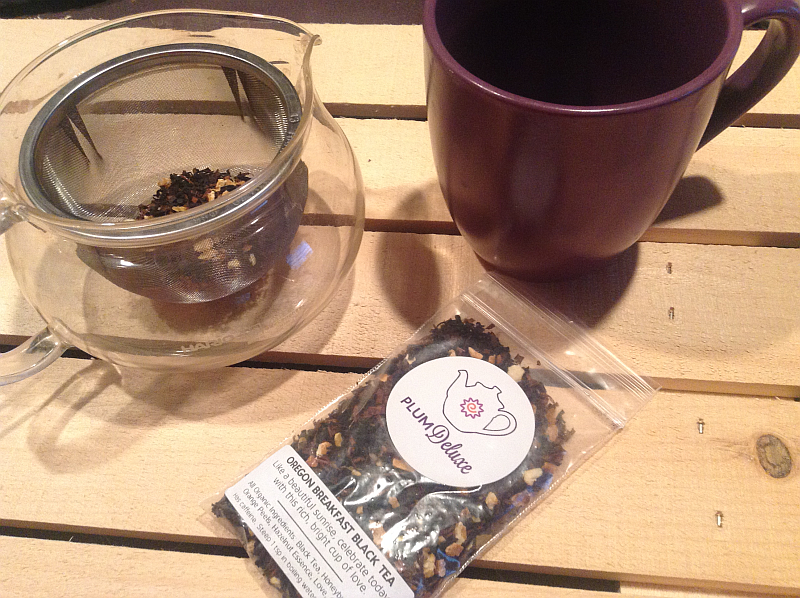 I was recently sent a few samples of Pahadi Tea to review on the tea blog. I’ve brewed one, so far, and am crazy – as in over the moon crazy – about it. 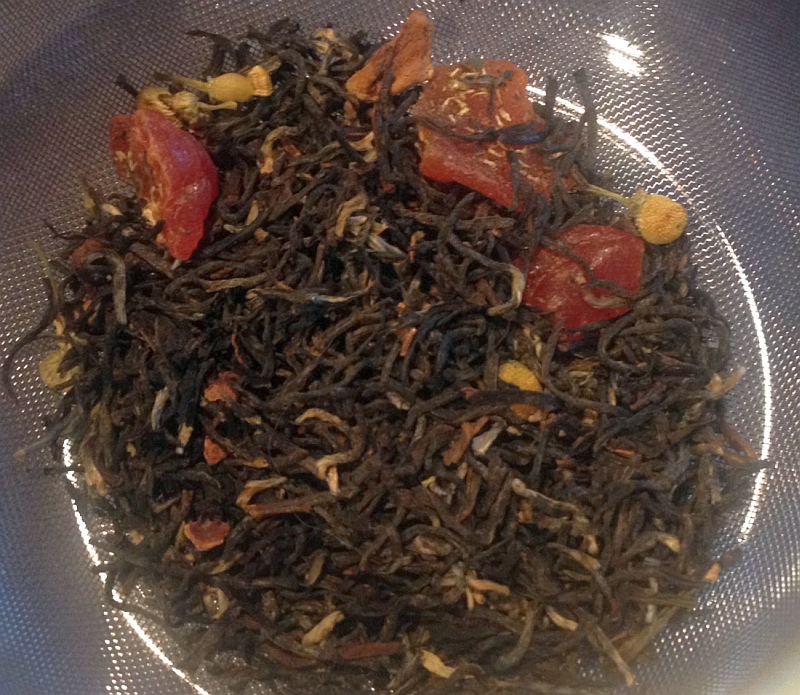 The beautiful tea you see here is Granny’s Spiced Plum Black Tea and it is simply wonderful. Sun-Dried Plum Bits, Cloves, Cinnamon Bark…. I was hooked the minute I opened the pouch and saw the bits of plum and smelled the cinnamon and cloves – my tea fueled brain said, “This is going to be extra special,” and (naturally) it was right. This delicious Darjeeling Spicy Plum Tea comes from an area where the finest teas in the world are grown – the district of Darjeeling in the Himalayan foothills. If you think that sounds exotic, just wait until you taste it. Perfect Tea for ANYTIME But Essential for Christmas! 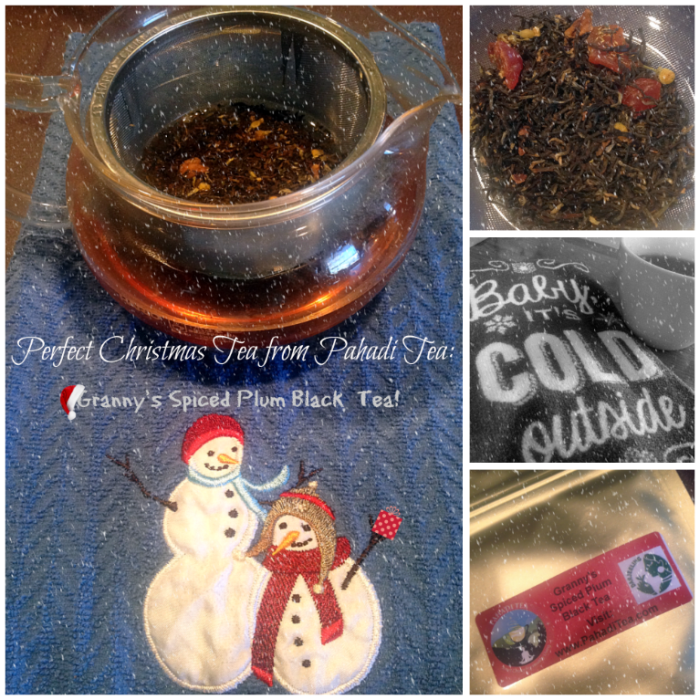 When I first tasted Granny’s Spiced Plum Black Tea, the first thought to come to mind was, “This tea tastes like Christmas.” Second thought: “I love that this tea tastes like Christmas.” After that, there were no more thoughts, just pure enjoyment of a beautiful, delicious tea. I knew that the review would simply HAVE to come from a “perfect tea for Christmas” standpoint simply because it is. 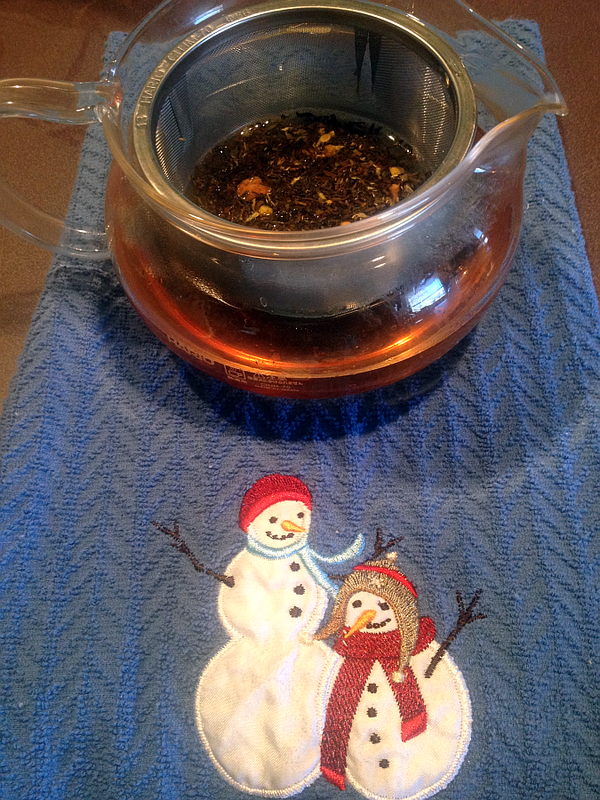 If Christmas had a tea to symbolize the season, this would be it. Warming up after an afternoon Christmas shopping. Enjoying while decorating the tree. Relaxing beside the fireplace and/or Christmas tree. Add a little steamed milk and you’d have a Christmas Tea Latte that any coffeehouse would envy. 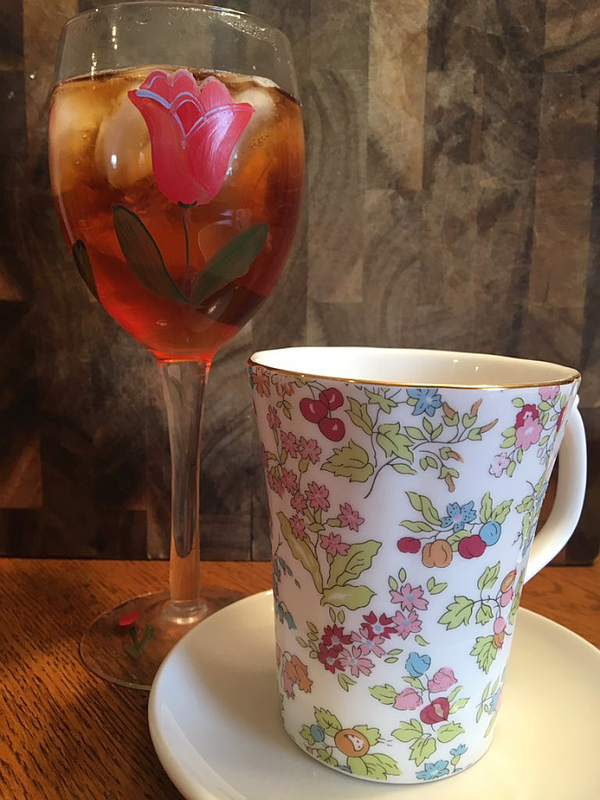 While I have pretty much christened it the tea of the Christmas season, I want to hasten to add this… Granny’s Spiced Plum Tea would be more than welcome in my kitchen any time of year. I haven’t tried it iced yet, but I suspect it’d be amazing. One of the beautiful things about tea that’s so full of flavor is that it needs no sweetener. Anytime you can “uninvite” sugar to your tea party is a grand thing. This tea comes from the area where the finest teas in the world are grown-the district of Darjeeling in the Himalayan foothills. The high-altitude, rich soil and ideal weather contribute to the unique flavor and character of this rare coveted brew relished internationally. Grown exclusively in select 87 tea plantations, Darjeeling is popularly known as the ‘Champagne of Teas’ and is the first product from India to be granted protection under geographical indication (GI) in view of its uniqueness recognized worldwide. Most tea plants in Darjeeling are of the smaller leaf Camellia sinensis var. sinensis, rather than the larger leaf var. assamica, more commonly grown throughout the rest of India. While classified as a black tea, Darjeeling teas are almost always less oxidized than a typical black tea. The unique flavor of Darjeeling comes from Chinese tea genetics mixing with Indian terroir—plus the intricacies of harvesting and processing. It’s lighter and less astringent than most black tea, but more layered and complex than most greens. Granny’s Spiced Plum Black Tea Description: Sun-dried ripened plum bits, aromatic cloves and cinnamon bark – blended with finest Darjeeling black tea. I hope you’ll go right to Pahadi’s Website and order your own Granny’s Black Spiced Plum Tea today. Trust me, you’ll want plenty for the holidays. As someone who drinks and loves tea like it’s her job, I fully understand the worldwide obsession and fascination with tea. It’s healthy, “green,” and always fresh and delicious. We love tea, not only for each of the above reasons, but also for the fact that it’s an experience. At times a beautiful, peaceful, relaxing, and extra special experience. Other times, tea’s an extra special experience similar to a refreshing shower in the morning. That’s what makes tea so uniquely wonderful – it’s an extra special experience that can, and does, often mean different things to different people. 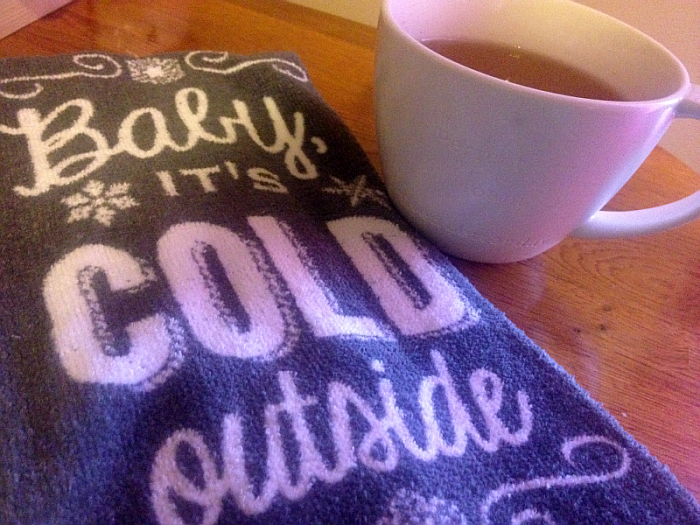 Said another way – tea is always just what we need when we need it most. I was reminded of the beauty of the tea experience recently. I was sent a beautiful set of teas from Golden Tips Tea in India – in exchange for reviewing them on the tea blog. As always, I jumped at the chance to review tea! The fact that the “experience” would be extra special and extra exotic caused me to reach new levels of excitement! 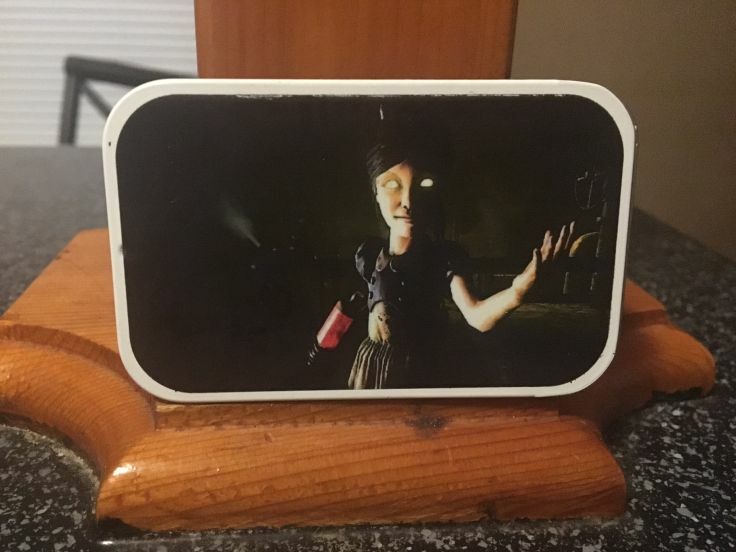 When the package came… from India!! !… I couldn’t open it fast enough. Seriously. How exotic is that? Tea. From India. It’s these beautiful people I have to thank for one of my greatest passions in life – Chai Tea Lattes. The flavor of Chai Tea has been one of my greatest obsessions since I first tried it many years ago. A tea that, over the years I came to love as much as Chai is Darjeeling Tea. I was ecstatic when I saw Darjeeling was included in the samples. Naturally it was the first one I made. The Turbo Moonlight Darjeeling is the best Darjeeling tea I’ve ever tasted. It is smooth, beautiful, exotic, and delicately delicious. I could drink it all day, everyday. It’s a wonderfully relaxing experience hot and refreshing on ice. Each of the teas in the set were out of this world. Each were delicious and beautiful. Possibly the most important thing that stands out about each, however, is the experience, itself. Words cannot fully describe the experience but suffice to say it’s a unmistakably beautiful one. It’s as though you open up a whole new world for your love of tea. You experience tea that was lovingly grown and packaged so far away – from people who “get” the tea experience as much as you do. Like I said, it’s almost impossible to describe just how wonderful the experience is. It’s extra special – just like the tea, itself. Obviously, you can simply go to Golden Tips Tea and order the tea or teas of your choice – Something I’d HIGHLY recommend! However, there are also a few different options that’ll allow you to experience different teas and different exotic flavors. Below are a few ideas. 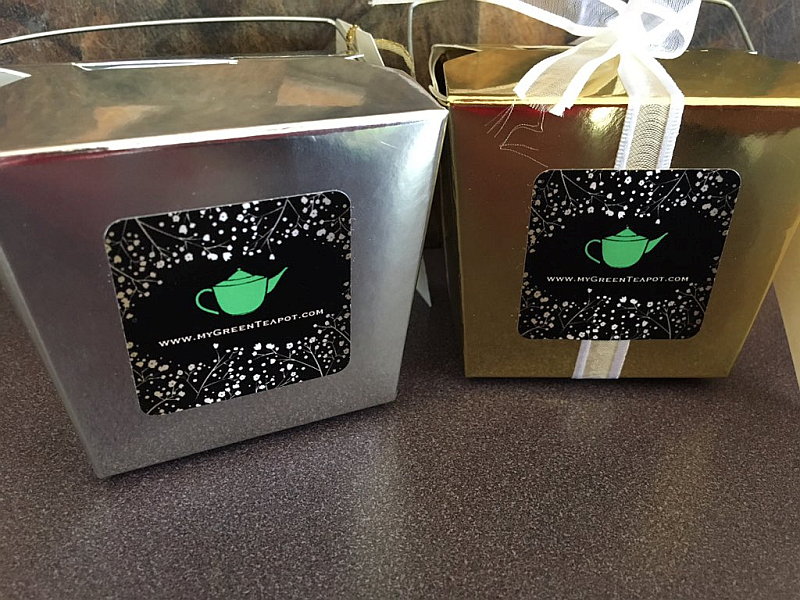 Golden Tips Tea offers a “Subscription Program” where you can subscribe to tea deliveries – experiencing many different varieties and flavors. This would be a really fun and exciting way to spread your tea experience across 3, 6, or 12 months. Click through the link to learn more about the program. Do a few of the names above sound unique to you??? All the more reason to “experience” them through a “sampler!” I had never tried Assam Tea prior to the Golden Tips Assam Tea. Assam Tea is a black tea which is named for the region (Assam, India) in which it is grown. Assam tea is bold, fearless, and deep colored. As someone who loves BOTH tea and coffee equally, I often make comparisons between the two. If I were to do so with Assam Tea, I’d call it the “Espresso” of teas. It’s more of a wake up call where Darjeeling is relaxation in a cup. Now that I’ve tried Assam tea, I’m a huge, huge fan. I was also new to Muscatel Tea. It had a milder, somewhat sweeter flavor than Assam but I fell just as deeply in love with it. When doing tea (or food reviews on my food blog for that matter) reviews, I often pay extra attention to the first words that come to mind with the initial taste. With Muscatel tea, the first words were: lovely, understated, delicate, and lovely. Yes, I repeated myself. Even the different teas I was familiar with were given a whole new exciting experience. My beloved Darjeeling seemed even more special and exotic than ever. 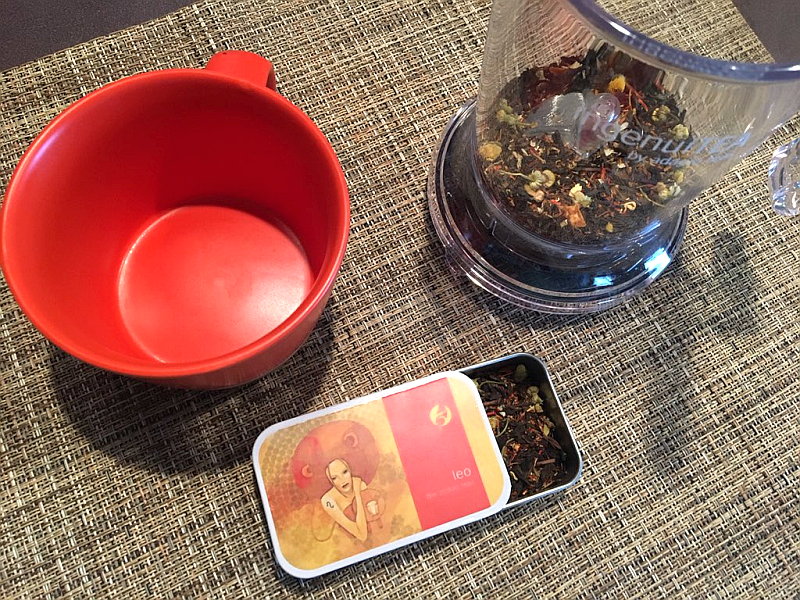 In addition to my Golden Tips Tea experience introducing me to a few new teas that I’m now obsessed with AND making me love a few old favorites even more, it also has given me a wonderful new idea for a new collection I want to start… Tea Boxes! The beauties below are just a few that caught my eye (well, both eyes to be exact) on Golden Tips Tea’s website. Click through for more information. Can you imagine how gorgeous a tea box collection would be. I’m excited for starting this colleciton in the New Year! 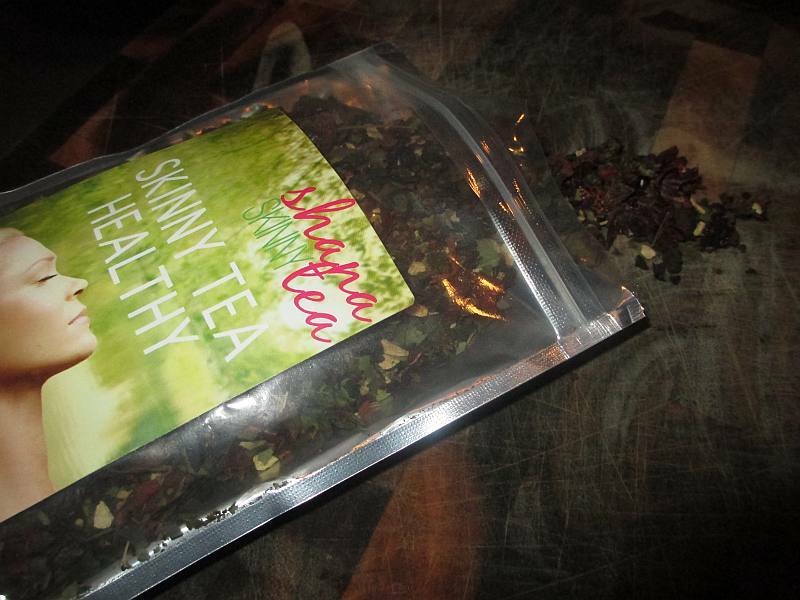 The most recent tea I was sent to review was from Shana Skinny Tea. Ironically, I had not heard of Shana before, so I was even more anxious to try one of their blends. I chose the Healthy Tea blend and one taste told me I was a genius for having done so. But I’m getting ahead of myself. 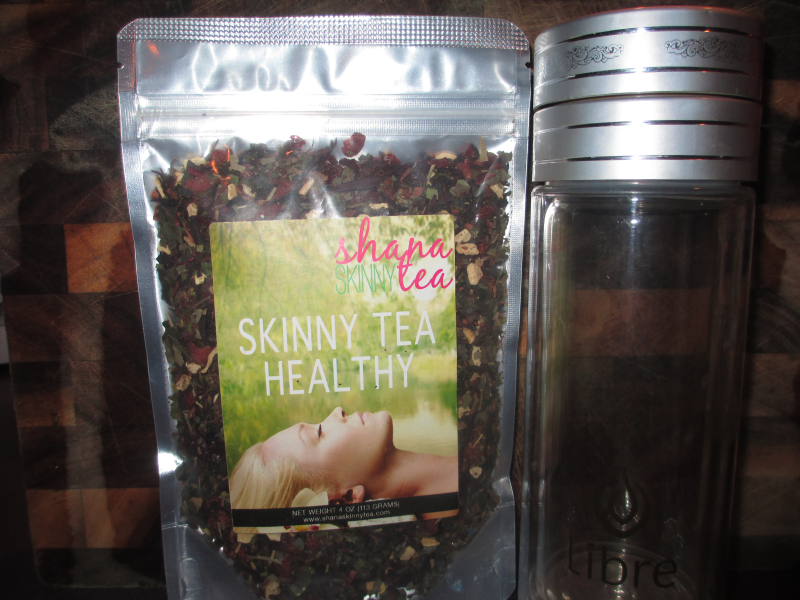 Shana Skinny Tea boasts the most antioxidant-rich ingredients imaginable. When you read their ingredients, you feel like you could be just as easily reading a list of food recommendations from Dr. Oz. Drinking two cups of Shana Skinny Tea daily can help you achieve the following health and fitness goals. Help you reach your ideal weight and health goals! The list is from Shana Skinny Tea’s website, which would be an excellent place to learn more about their healthy teas. I knew I was in for something extra special as soon as I opened the box and pulled out my bag of Healthy Tea. You could see the beautiful quality of the tea leaves through the clear bag and could smell them the instant you opened the bag. 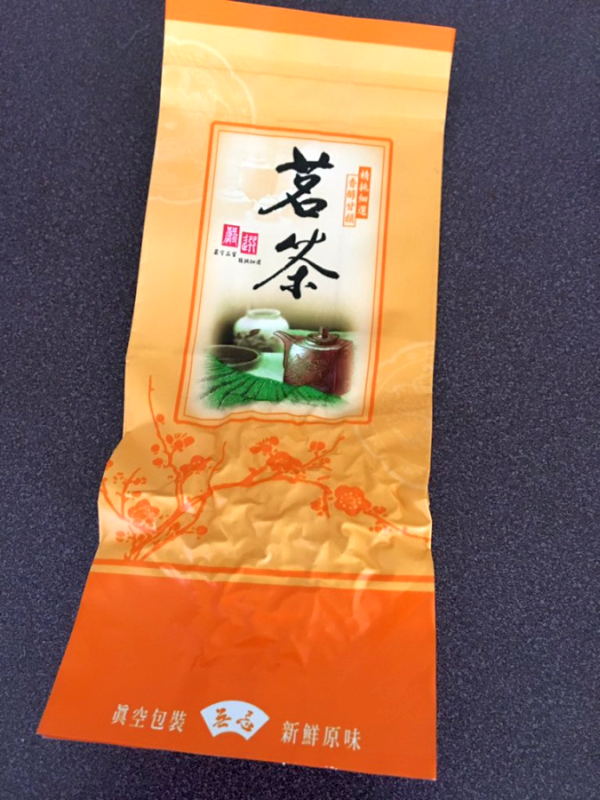 Quality tea can actually be enjoyed and appreciated long before its even brewed and that’s certainly the case with this excellent tea. 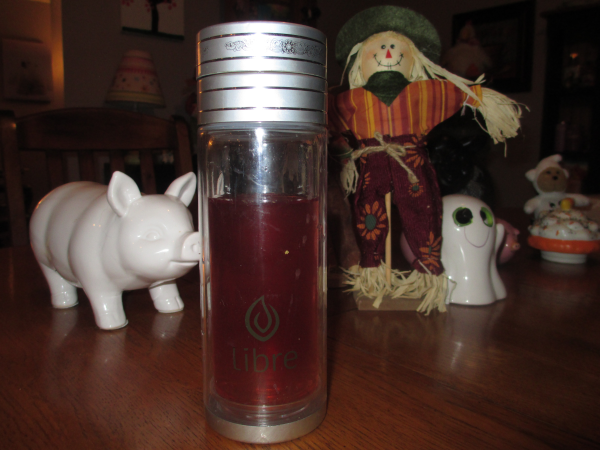 I used my beloved Libre Loose Leaf Tea Glass and immediately brewed some of the “Healthy Tea.” I drank my first beautiful (seriously, it’s a gorgeous color) cup of Healthy Tea hot and it was exceptional. 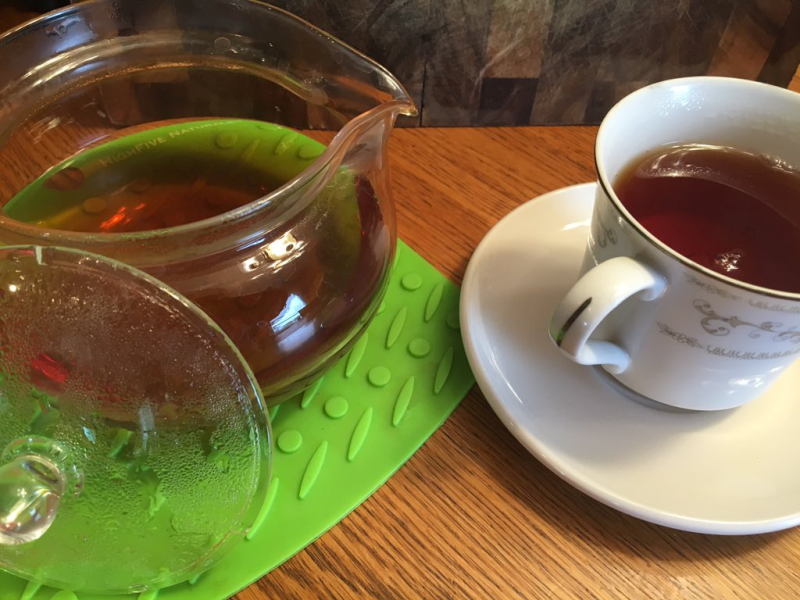 As you know if you read many of my tea reviews or tea blog posts, I’m partial to sweetening my tea – whether it’s with sugar, fruit, or honey. What can I say, I’ve got a head full of sweet teeth – PLUS I’m from the South, sweet tea’s a way of life here. Anyway, if I say that a tea is perfectly delicious without sweetening of any kind, you can rest assured the tea is other-worldly. This tea is JUST that. It’s unspeakably tasty and I hope you’ll try it asap, if not sooner. 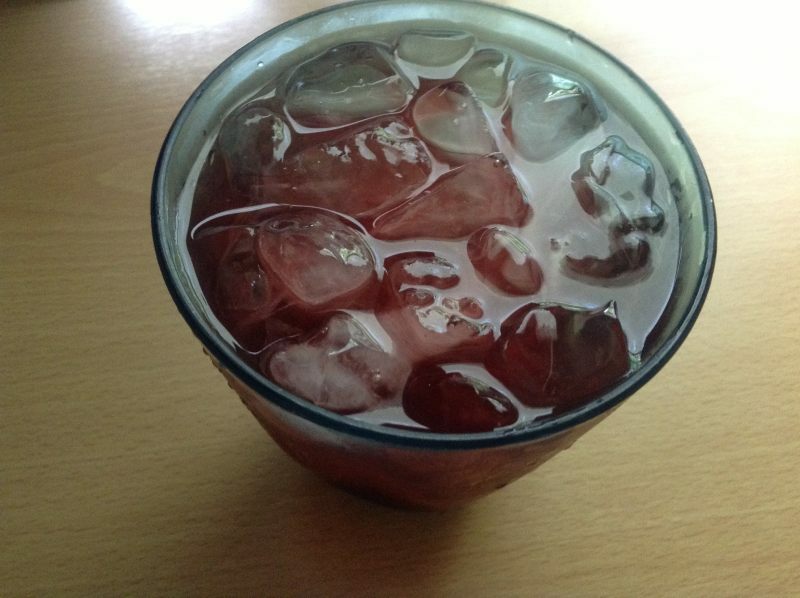 Shana Skinny Tea (Healthy Tea) is also amazingly delicious on ice – and, again, it doesn’t need any sweetener… even by me. Click through any of the links and find out just how beautiful, delicious, and easy healthy can be.